Seabreeze is a charming 2 bedroom villa in the British Virgin Islands with 2 beautiful individual suites. As you arrive at the villa, you will drive up a shady lane within The Long Bay Village. Seabreeze offers an enjoyable secluded location to enjoy your vacation. There are unobstructed views of the ocean and neighbouring islands – Jost Van Dyke, Sandy Cay, Green Cay and Long Bay Beach. Seabreeze is part of a group of villas which form part of the Long Bay Estate and its meandering colourful gardens. It’s just 3 minute walk to the gorgeous appealing Long Bay Beach. Each suite is self-contained and has its own entrance. Rent the entire villa if you wish, enjoy the villa with your family or a group of friends. The lovely alfresco dining is within its own tropical garden and provides a great ambience to enjoy the sea breezes and trade winds. Why not BBQ and watch the lights come up in the Long Bay Estate, maybe have a cocktail and watch the sun go down! Both suites are fully air-conditioned with king size beds for you to relax. Both have private facilities to wash off the day’s events! The Garden Suite has the living room with open plan kitchen, outside deck with BBQ, dining for 6 with superb sea views. Seabreeze is interconnected by a central stair case, each floor has its own lockable entrance. The Penthouse Suite is roomy with a high vaulted ceiling which gives you an airy feeling. There is an open-air balcony to enjoy breakfast and the early morning sunshine. It also provides the ideal setting for a romantic cocktail or glass of bubbly with someone special! The main deck features the kitchen and outdoor dining area, bedroom/bathroom suite. There is a large set of sliding doors which open out onto the deck. Parking is right next to the villa, no long walks with your luggage or shopping! Long Bay Beach is just a couple of minutes away, with lovely views, white sandy beach, plenty of beach chairs to chill out on. Why not watch the Pelicans fish all day! The mile long beach is a great place to walk, sit or read a book. Plenty of palm tree’s if you want to get out of the sun. Tortola has many excellent restaurants dotted around the island and there are 2 within walking distance of Seabreeze. You can also enjoy sailing, scuba dive or take a variety of day trips either by boat or ferry to other British Virgin Islands. Surfing is awesome at Apple Bay Beach and fantastic snorkelling can be found at Smuggler’s Cove, which is in the next bay. 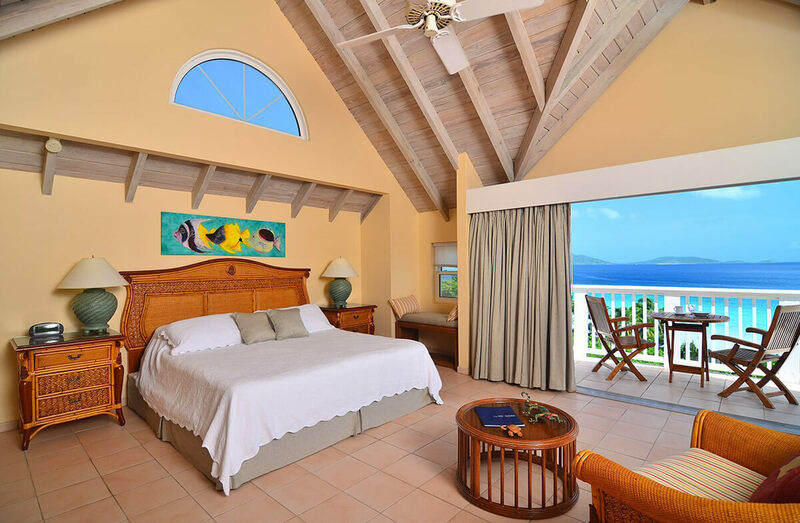 You’ll Love the Views and the Ocean Breezes at Seabreeze Villa In Long Bay!